But this is not the end of the story yet. 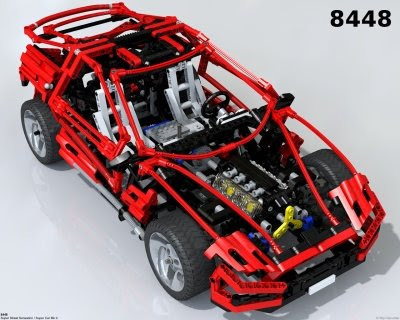 Meanwhile I have managed to get a 8448 Sports Car too. I have already mentioned my ambitions to get all the pieces of the Big Car series and this is a new item in the row. This is where I stand now: 853 (1977), 8860 (1980), 8865 (1988)?, 8880 (1994), 8448 (1999). I have started to put it together but documenting everything appropriately takes some time - I promise I will get there in days. I hope I can make it enjoyable soon so that I can cover it.